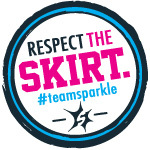 wan life to live: go team! 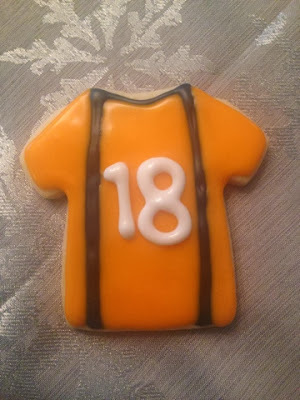 can you stand one more cookie post? i mean, i told you i was busy this week! 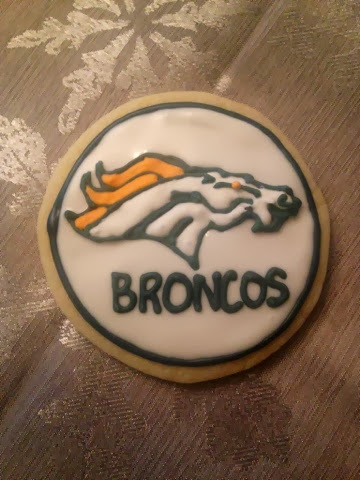 i was excited to tackle a request for super bowl-themed cookies. 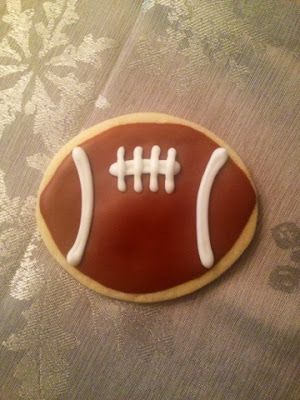 i'm not really a football fan at all, but if we're talking cookies, i'm all over it. 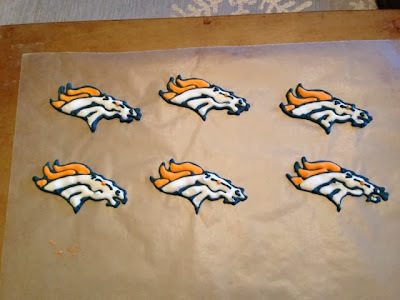 although i was a little nervous about the denver broncos logo. 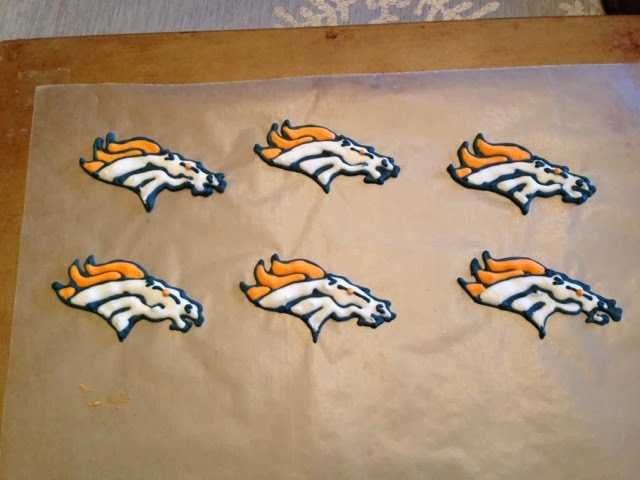 i knew i could just make them in royal icing beforehand, though, like other cookies i've done before. and sure enough, once i got started on them, i was pleased with how they turned out. now all i need is for someone to ask for hockey cookies and i think i've got all of the major sports covered!